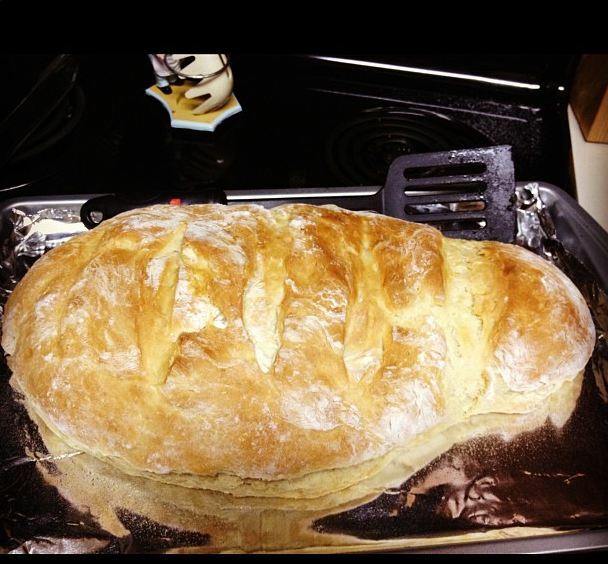 So, if you’ll remember, I tried out a 1-Hour French Bread recipe a couple weeks ago for my family, and it was awesome. This morning was my breakfast day at work (we take turns bringing in breakfast for our department), so I decided to make the Kale, Bacon, & Egg Breakfast Casserole and (given time restraints) the French bread and also some fresh strawberry jam. I also ended up having unannounced company last night, so I was a little distracted when I was making everything. 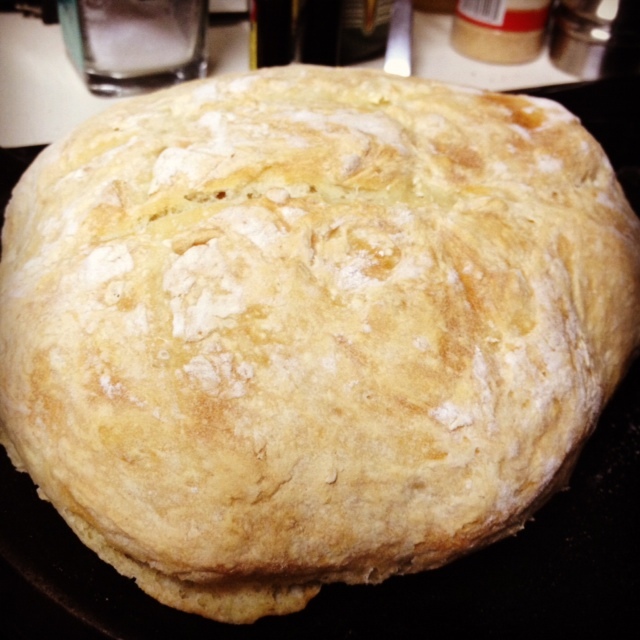 Funny story…I forgot that I’d halved the recipe last time I made it, because I didn’t need two loaves of bread. 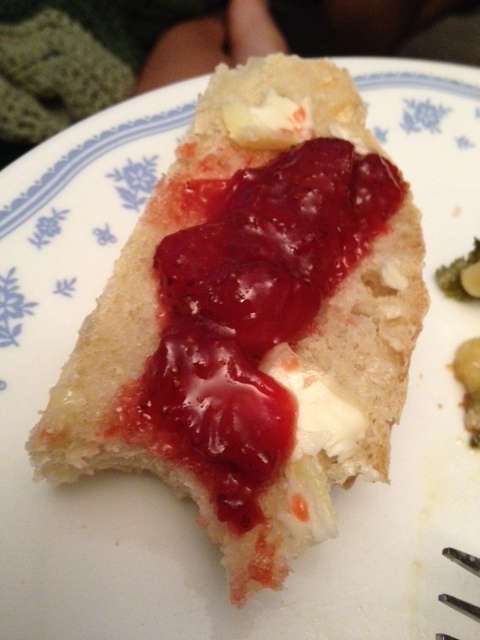 When I rolled the loaf out, I was thinking, “man, this is huge!” (that’s what she said…). But then it just kept expanding as it baked. Needless to say, I’m pretty sure I set a record for the world’s largest loaf of French bread. I’ve definitely been on a bread-baking kick lately—though not sure if this one qualifies as an actual “bread”. 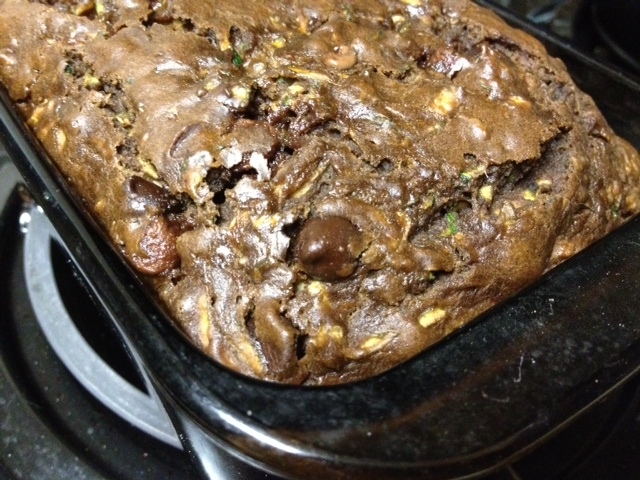 It’s delicious and moist and fiber-ful and CHOCOLATE. It’s breakfast and dessert. It’s so many things. And the best thing about this?? It’s surprisingly healthy! No, really. 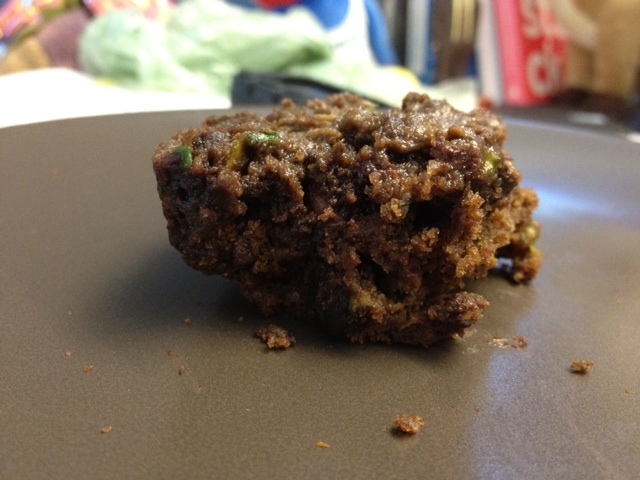 While there’s some brown sugar in it, and the chocolate chips (though I use at least half dark chocolate chips because I think they taste better), otherwise it’s made with oil and honey and zucchini. You could even try using whole wheat flour, though I haven’t yet myself. The first time I made it, I thought it was done and pulled it out of the oven too early, so seriously everything but the edges was complete chocolate goo. Which sounds great, but actually was just too much. So don’t be like me. Never be like me. The second time I got it right. When my family was in town last weekend, we cooked and baked our faces off. For dinner Friday night we made delicious chicken, sweet potato fries, and sauteed kale, plus some double-chocolate zucchini bread and awesome rosemary, lemon, & cheddar bread for munching on later. It was fairly prolific, if I do say so myself. The problem with that is that—as previously mentioned—I have a very small kitchen. We started to run into trouble with number of burners in use, how many items could be in the oven and at what temperature. It got to be 2-3 hours from dinner time and I realized none of my bread possibilities would be ready for dinner. And that wasn’t going to work, because my mom loves bread. Like…LOVES it. Has to have it with every meal. So I dove back into my Pinterest board and came up with this gem—1-hour French bread. I was skeptical, because good things take time, particularly when they involve yeast. But I decided to give it a try and it was great. Probably as good as the artisan bread I made a few weeks ago that had to rise several hours before baking. The recipe seriously took about an hour and a half start-to-finish, and that’s partly because I was making several other things at the same time. It was warm, yeasty, and delicious. Note, I halved the recipe because we only needed one loaf for dinner, so that’s why the dough looks small. I have always had a rocky relationship with yeast. Like, you know when you see a couple making fun of each other in public in a way that’s not cute teasing but legitimately uncomfortable and you just kind of stand there and think, “man, am I uncomfortable!”? That’s my relationship with yeast in a nutshell. The few times I’ve tried to make something with yeast, it’s made me feel like a failure in public, and made me skittish about going out with it again. When I saw some recipes for five-minute a day artisan bread, easy homemade french bread, etc., I was really skeptical. Bread, in my experience, is anything but easy and fast. But this stuff is the real deal, and I can see myself making it over and over. Full disclosure—five minutes refers to the actual hands-on time per day, but it’s still really easy overall. So, last August my parents and I spent a week in Ireland, which has been on my bucket list since I was like 14 (and read a Nora Roberts trilogy set in Ardmore with hot Irish guys and cool music…but I digress). And you know what I was probably most excited about? Scones. Well, and good beer. But also scones. 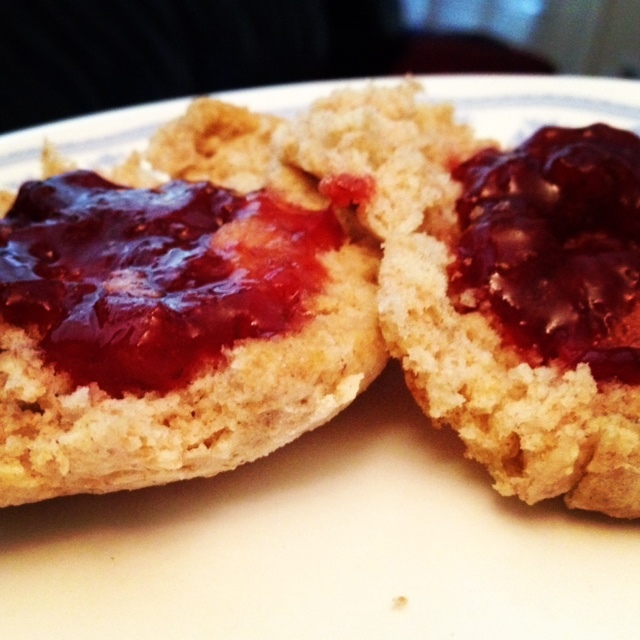 My basic scones with homemade strawberry jam! I flipping LOVE scones, and was so excited to try them in their “birthplace” (or close enough). We went to Queen of Tarts in Dublin, I had them in Cashel, basically anywhere we went. Great excuse to have lots of cappuccino too. They came in all shapes and sizes, textures and flavors, moist or dry, etc.